Dwelling at the border of psych-rock and world music are the songs of the five-piece group called Flamingods with their capabilities of being both sophisticated and infectious. Formed of members who come from Bahrain and London, the band manages to brilliantly amalgamate their roots in their work. With songs and videos based on haunted places in the UK, secret Pakistani wrestling groups etc. they appear not just as travellers but as locals of the places that inspire the work. Their music features exotic instruments and hypnotic melodies over a basic rock foundation making it both different and relatable. While their vocal melodies remind one of Kula Shaker, their instrumental arrangements are as virtuosic as that of Radiohead’s Jonny Greenwood. Having recently toured Italy and releasing the video for their single Taboo Groves, the band has things such as support for Quantic and a slot at Liverpool International Festival of Psychedelia on the cards. 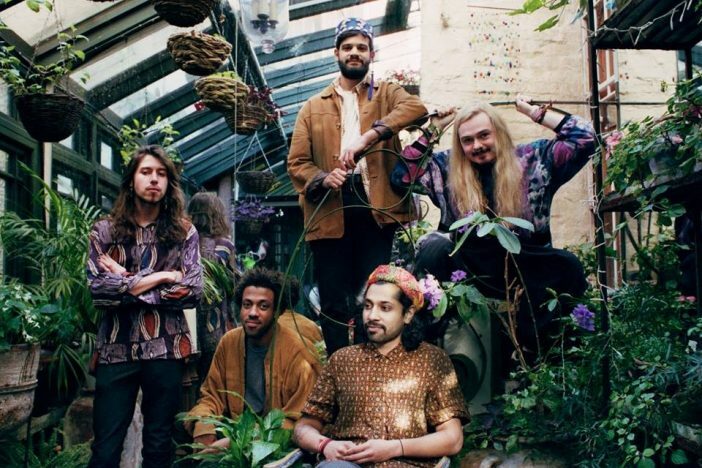 Whether you like Flamingods’ exotic psychedelia or not, their music is undeniably interesting.